As always we have a ton of marvellous questions! I wouldn’t notch and DeEss, I would only DeEss. Remember DeEssing is a single band multi band compressor, so it’s only going to remove excessive high end when it peaks. I wouldn’t notch it out cause you’re not trying to remove it all the time, you’re only trying to remove it where it’s excessive. – That’s where a DeEsser wins. 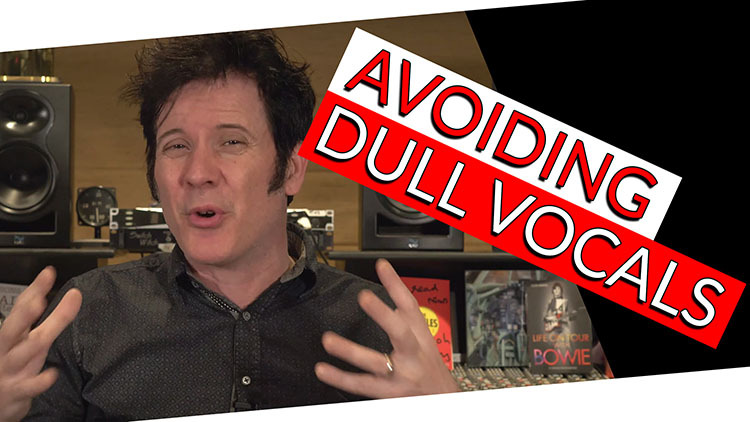 If you take the most bog standard DeEsser that comes with your DAW and set your threshold, every time it’s jumping around there it will get excessively bright then the DeEsser controls it and keeps it in the range of the vocal. You don’t have to notch it, if you start to notch out some of the high frequencies what’s going to end up happening is you’re going to make your vocals sound dull. My tip/trick that I love to do is put a DeEsser on the vocal first, to brighten it, (sometimes I compress it as my first step) then another DeEsser so it adds air and overall brightness to the vocal. But the DeEssers are running in series after EQ’s and compressions. – Sometimes I have three DeEssers on there! DeEss, Compress, Eq, DeEss, (Maybe) compress, but definitely EQ and then maybe another DeEsser! Who the heck knows. They can be at different points but what they’re doing is controlling those excessive high end thats going to rip your head off. Do not notch it out, if you’re notching it out you’re removing that all the time, you don’t want to do a generic removal. For instance going back to my old discussion from a couple of weeks ago That’s why I don’t recommend notching frequencies out on your master bus. If you’re having to pull out tons of frequencies in your master bus, go and find out where those problems are happening. It’s the same methodology! Think about what is causing the problem and solve the problem, don’t hammer a patch over it, go in there and surgically find the problem. DeEssers are your friend; they’re variable multi band compressors you can sit there on the high end and find it! You can use 3, or try 4. The point is, brighten the vocal, find where it gets excessive and then you’ll get an airy vocal but every time something whips a little too much that DeEsser will catch the problem.